I’m delighted to be here to talk about some of the technical legal aspects of the Stock Connect, particularly now that it’s been confirmed that the Shenzhen-Hong Kong Stock Connect will launch on Monday December 5th. As the first initiative under the Mutual Market Access pilot programme between Mainland China and Hong Kong, Shanghai Hong Kong Stock Connect provided a new official channel for overseas investors to invest in Mainland-listed stocks and for Mainland investors to invest in the Hong Kong stock market. Shanghai Hong Kong Stock Connect has been an undoubted success allowing the model to be replicated now to permit trading between the Shenzhen and Hong Kong exchanges with effect from Monday. The expanded scope of eligible securities which will made available to Hong Kong and other international investors clearly offers major opportunities, while Hong Kong-listed companies will benefit from a wider pool of Mainland investors. Beyond the obvious investment and capital raising opportunities on both sides of the border, the Mutual Market model between Mainland China and Hong Kong is symbolic in terms of Mainland China’s opening of its capital account and the ever increasing foreign investment opportunities this provides to Mainland investors, and likewise the expansion of Mainland investment opportunities for foreign investors. The Exchange has just published a research report “Research Report: Stock Connect – Towards a “Mutual Market” for the Interests of Mainland and Global Investors” which is on the Exchange’s website and offers a fascinating insight into the major opportunities provided by Mutual Market access. Experience of the Shanghai Connect shows that Mainland investors have an increasing appetite for investment in Hong Kong stocks through Southbound trading. Their investment interest is not limited to large-cap blue chips but also in smaller-sized stocks in various industries. In Northbound trading, global investors also have an increasing interest in smaller-sized Mainland stocks of diversified industries. The Shenzhen Connect will cover more small-sized stocks to meet the needs of both Mainland and global investors. The Mutual Market Access scheme, subject to regulatory approval, will be extended to exchange-traded funds (ETFs) in due course and possibly in the future to bonds and other securities, commodities and derivative products. Through Southbound trading under the “Mutual Market” model, Mainland investors are offered global asset allocation opportunities for potentially better risk-adjusted returns and an increasingly diversified range of investment and risk management instruments than in the domestic market. In the period from the launch of Shanghai Hong Kong Stock Connect in November 2014, both Northbound and Southbound trading value fluctuated in line with changes in market sentiment. Overall, however, Northbound trading has maintained a relatively steady level of average daily trading value (ADT) of between 1% and 1.6% of the ADT of the Shanghai total A-share market. Southbound trading saw a rapid rise and then fall in trading in the 9 months after launch, but in the past year there has been a strong upward trend in Southbound trading relative to the SEHK Main Board total market trading. As a percentage of total Main Board ADT, Southbound ADT rose from 2.1% in September 2015 to 6.1% in August 2016. For the first time after April 2015, Southbound ADT exceeded Northbound ADT in June 2016 and again in August 2016. In the period to August 2016, Southbound trading recorded higher average daily net buy values than Northbound trading since late 2015. Net sell value was recorded for Southbound trading in only two months since launch up to the end of August 2016, compared to 5 months for Northbound trading. Looking at Southbound trading and investor holding in SEHK-listed stocks by eligible stock type, in contrast to Northbound investment, the majority of Southbound trading value and period-end holding value was in the mid-cap HSMI constituents at the launch of the scheme in 2014. This had shifted to a degree to HSLI constituents in the period to August 2016. But HSMI stocks still made up around 40% of SEHK-listed stocks held. Initially, global investors were primarily interested in trading and holding the large-cap SSE 180 Index constituents (94% of trading value in 2014 and 96% of holding value at the end of 2014). However, Northbound trading in the mid-cap SSE 380 Index constituents gradually increased from 6% during 2014 to 23% during the period up to August 2016. Northbound holding of these mid-cap stocks jumped to 22% at the end of 2015 and decreased to 14% at the end of August 2016, still much higher than the 4% at the end of 2014. Nevertheless, global investors’ main interest remains in the Mainland large-cap blue chips. Global investors have acquired Mainland consumer stocks: these shares made up about 20% Northbound trading value since launch and represent an increasing percentage of the value of Northbound shares held. Mainland Industrial stocks have been popular representing over 17% of Northbound trading value and period-end holding value as at August 2016. The dominance of Financial stocks (all were large-cap SSE 180 constituents) has reduced gradually ― from 51% of Northbound trading value and 43% of period-end Northbound holding value in 2014 to 31% and 25% respectively as at August 2016. So with Shanghai Hong Kong Stock Connect a success which is set to be replicated with the opening on Monday of Shenzhen-Hong Kong Stock Connect, I’d like to go through now some of the more technical legal points in relation to the 2 Stock Connect Schemes. Essentially, the model was laid down for Shanghai Hong Kong Stock Connect, and that is being adopted for Shenzhen-Hong Kong Stock Connect, with minor differences arising from the slight differences between the 2 schemes which Tae has talked about. 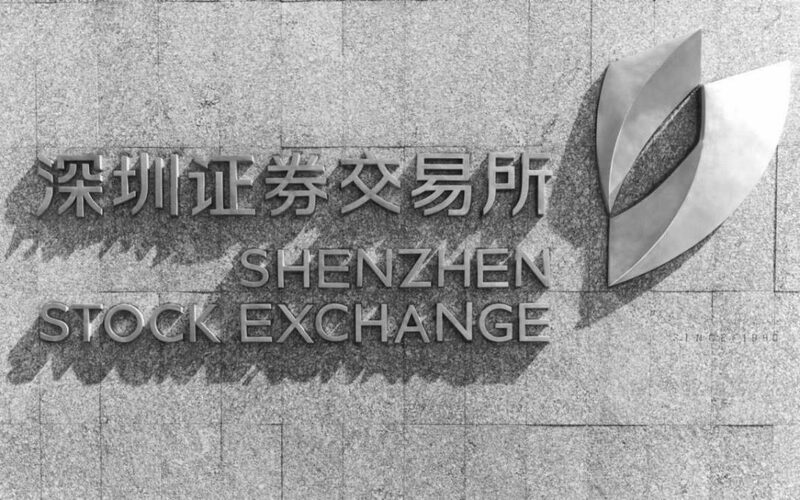 It is expected that the Shenzhen Stock Connect will function very similarly to the Shanghai Stock Connect. The Hong Kong Securities Clearing Company is the nominee holder which holds Stock Connect shares on behalf of Hong Kong and overseas investors who are the beneficial owners of the shares. The CSRC Stock Connect Rules expressly provide that investors enjoy the rights and benefits of Shanghai-listed shares acquired through Shanghai Stock Connect.1 The laws and regulations of Mainland China thus recognise the Hong Kong and overseas investors as the ultimate owners of the shares and not the broker, custodian or other intermediary through which the shares are held. Brokers and intermediaries acquiring Shanghai- or Shenzhen-listed shares for their own account will thus be recognised as the beneficial owners of the shares. CCASS Rule 824 confirms that all proprietary interests in respect of Shanghai securities which are held by HKSCC as nominee will belong to CCASS Participants or their clients as the case may be. This beneficial ownership arrangement is expected to be applied to Shenzhen Stock Connect. The CCASS Rules and CCASS Operational Procedures set out the rights and obligations of the HKSCC’s role as the nominee holder of Stock Connect shares acquired by Hong Kong and overseas investors. submitting a combined single voting instruction to the issuer of the relevant Stock Connect shares. Article 30 of CSRC Guidance on Listed Company Articles of Association requires Mainland listed companies to maintain shareholder registers, which are sufficient evidence of beneficial ownership of shares. Section 160 of the Securities Law of the PRC requires ChinaClear to provide the issuer with the register of securities holders and their information. ChinaClear would also confirm the ownership or holding of the securities and ensure that the securities transfer and registration records are true, accurate and complete. Article 7 of the ChinaClear Implementing Rules requires HKSCC to be registered in the shareholder register as nominee holder. Article 5 of the ChinaClear Securities Registration Rules states that ChinaClear’s securities registration records are sufficient evidence of the securities holders’ holdings. There is a distinction between asserting/exercising one’s rights over Stock Connect shares on the one hand and taking legal action to enforce rights over Stock Connect shares on the other. Under the “nominee holder” arrangement, the beneficial owners of Shanghai- and Shenzhen-listed shares exercise their rights through the nominee holder. The securities account for shares acquired by Hong Kong and overseas investors through Stock Connect is opened in the name of HKSCC as nominee holder with ChinaClear. Hong Kong and overseas investors will thus exercise shareholder rights in relation to the Shanghai- and Shenzhen-listed shares through HKSCC in accordance with the CCASS Rules and Operational Procedures. The HKSCC also has obligations to distribute company announcements and communications, attend shareholders’ meetings and obtain voting instructions and instructions to deal with entitlements, dividends, distributions and various corporate actions. The HKSCC, as nominee holder, can assert or exercise the above rights and discharge its obligations by taking instructions from the CCASS participants, which in turn seek instructions from their clients or the beneficial owners. The HKSCC has stated that it is not aware of any express provision in Mainland China law that prohibits a beneficial owner or investor from taking legal action directly in Mainland courts to enforce their rights over Stock Connect shares, but neither is it aware of any express framework to take such action. Article 119 of the Mainland’s Civil Procedure Law requires that a claimant in a legal action must have a direct interest in the case. Therefore, the issue is to show that the investor’s beneficial ownership constitutes a direct interest in any case involving their Stock Connect shares. Nevertheless, the HKSCC can assist beneficial owners. Upon request (and after receiving the necessary information, documentation and indemnities), the HKSCC could provide certification to ChinaClear as proof of the CCASS Participant’s (or its client’s) holding of Stock Connect shares. The HKSCC can also assist in bringing the legal action in Mainland China according to Mainland Chinese law. The beneficial owner of the Stock Connect shares would decide whether to take legal action. The beneficial owner is responsible for seeking proper legal advice to ascertain the existence of a cause of action. The beneficial owner would have to pay all relevant costs, including providing the HKSCC with indemnities and legal representation for the action. A single foreign investor’s shareholding in a listed company cannot exceed 10% of the company’s total issued shares (regardless of the channel through which they’re acquired i.e., whether acquired through the QFII, RQFII or either of the Stock Connect schemes). For any PRC listed company, the total foreign shareholding of its A shares cannot exceed 30% of its total issued shares. The Shanghai Stock Exchange or Shenzhen Stock Exchange (as the case may be) will publish a notice on its website if the total foreign shareholding in a company’s A shares reaches 26%. If the 30% limit is exceeded, the relevant foreign investors will be requested to sell their shares in that company on a last-in-first-out basis within five trading days. These restrictions on foreign shareholdings apply to the total number of shares held by foreign investors through all channels including those purchased through QFII, RQFII and the Shanghai and Shenzhen Stock Connect schemes. When either SSE or SZSE informs the SEHK that the total foreign shareholding of a particular Shanghai- or Shenzhen-listed share has reached 28%, no more Northbound buy orders in that share will be permitted, until the total foreign shareholding in that share drops to 26%. If the 30% threshold is exceeded due to a buy order through either of the Stock Connect schemes, the HKEx will identify the relevant Exchange Participant and require it to follow the forced-sale requirements. The HKEx will publish a notification on its website in the event of suspension of buy orders (i.e. when the 28% threshold is exceeded) and resumption of buy orders (i.e. when the foreign shareholding drops back to 26%). Foreign investors can sell A shares through Stock Connect at all times, irrespective of whether the aggregate foreign shareholding of the particular share has already reached 26% or 28%, or exceeds 30%. If this causes the total foreign shareholding in the relevant A share to fall to 26% or below within 5 trading days, the Exchange Participant that previously caused the 30% threshold to be exceeded and is subject to the forced-sale requirement, can apply to the SEHK for a forced-sale exemption. SEHK Participants are required to monitor their clients’ shareholdings in Shanghai and Shenzhen A Shares acquired through the Stock Connect schemes and should remind their clients to comply with the 10% single foreign investor’s restriction policy, and bring to their attention the possibility of the forced-sale arrangement. Naked short selling is prohibited for Northbound Trading through the Stock Connect. However, Covered short selling is allowed subject to a number of requirements. One requirement is that only eligible Stock Connect shares can be shorted (Short Selling Securities). The list of Shanghai listed shares which are eligible for short selling is available on the HKEX website. The list of Shenzhen-listed stocks which are eligible for short selling will also be made available on HKEX’s website. There are also mandatory reporting requirements for short selling activities through Stock Connect. There are two types of short selling reports. The Short Selling Weekly Report should be submitted via the Electronic Communication Platform on or before the first working day of the following week. Only China Connect Exchange Participants that directly input short selling orders into the Stock Connect and have them executed are required to submit the Short Selling Weekly Report. This does not affect the requirement to submit a Stock Borrowing and Lending Monthly Report. The other filing required in respect of short sales is the Large Open Short Position Report which must be filed by a China Connect Exchange Participant (or Trade-through Exchange Participant) if there is any open short position of any Short Selling Security (executed for their own account or a client’s account) after the market close on the last Stock Connect trading day of a calendar week, that equals or exceeds either RMB25 million or 0.02% of the total issued shares of the relevant Short Selling Security. Shanghai- and Shenzhen-listed shares are subject to a general price limit of ±10% (and ±5% for stocks under special treatment (i.e. ST and *ST stocks) under risk alert) based on the previous closing price. All orders input for Shanghai- and Shenzhen-listed shares have to be at or within the price limit. An order with a price beyond an existing price limit will be rejected. for the purpose of allowing a China Connect Exchange Participant’s client to sell Stock Connect shares when it cannot transfer those securities to the China Connect Exchange Participant’s clearing account in time to meet the pre-trade checking requirement. Stock borrowing and lending for short selling is limited to Stock Connect shares that are eligible for both buy and sell orders through both Stock Connects. However, stock borrowing and lending for meeting the pre-trade checking requirement is not restricted to any particular Stock Connect share. other persons accepted or specified by the Shanghai Stock Exchange or Shenzhen Stock Exchange. Except for the fact that Non-registered Exchange Participants and Qualified Institutions cannot lend to clients, any of the aforementioned lenders can lend to clients, China Connect Exchange Participants and Trade-through Exchange Participants. Stock Connect shares lent by a CCEP or Trade-through EP must be held or owned by it as principal or must have been borrowed from another CCEP, Trade-through EP, Non-registered EP or QI that is lending as principal. CCEPs and Trade-through EPs must provide the SEHK with an undertaking or confirmation depending on whether they are the lender or borrower. They must file a monthly report of their Stock Connect stock borrowing and lending activities to the SEHK. The form for this report is available on the HKEx website. Non-registered EPs and QIs lending stock to CCEPs and Trade-through EPs must provide the borrower with an undertaking confirming that they are not restricted from engaging in stock lending activities. For Northbound trading, investors cannot conduct day trading of shares listed in Shanghai or Shenzhen as these shares cannot be sold before settlement. Thus, Hong Kong and overseas investors buying Shanghai- and Shenzhen-listed shares on T-day can only sell the shares on or after T+1. For Northbound trading in Shanghai-listed and Shenzhen-listed shares, SEHK applies checks on all Northbound sell orders to ensure that individual SEHK Participants hold sufficient shares to cover their sell orders. SEHK’s pre-trade checking model will reject sell orders if the total number of shares to be sold is higher than the number of shares held by the SEHK Participant at market open. When placing orders, investors must have sufficient shares in their accounts with the SEHK Participant who acts as their selling broker. Where investors hold shares in an account with another SEHK Participant or a custodian, they must first transfer the shares to the selling SEHK Participant on T-1 in order to sell their shares on T day, unless a Special Segregated Account (SPSA) arrangement is in place. In this case, investors whose Connect Securities are held with custodians, may sell their Connect Securities without having to pre-deliver the Connect Securities from their custodians to their executing brokers. Hong Kong and international investors are only allowed to sell Stock Connect shares that are available in their HKSCC omnibus stock accounts maintained with ChinaClear at the end of the previous day (T-1). Each trading day, the SSE and SZSE will validate the SEHK Subsidiary’s sell orders against the HKSCC account balances as of T-1’s day’s end. The HKSCC will replicate the CCASS shareholding records to the Stock Connect for pre-trade checking before market open. For an Exchange Participant that is also a Clearing Participant (i.e. a Direct Clearing Participant), all Stock Connect shares in its CCASS stock accounts will be subject to pre-trade checking. For an Exchange Participant that is a Non-Clearing Participant, the pre-trade check will be performed against the Stock Connect shares balances in the CCASS stock segregated accounts of its General Clearing Participant. There are two models for pre-trade checking: the non-SPSA model and the SPSA (Special Segregated Accounts) model. Under the non-SPSA model, the sell quantity in a Stock Connect share put through by an Exchange Participant cannot be larger than its shareholding balance for that security at 8:30 a.m. on T day. CCASS must therefore ensure that the Stock Connect shares that are committed for sale remain in the relevant stock account until they settle their Continuous Net Settlement short positions on T day. Stock transfers between Clearing Participants through Settlement Instructions will not be allowed before 7:00 p.m. on each settlement day. Under the SPSA model, CCASS Special Segregated Accounts were introduced so that Custodian Participants or General Clearing Participants that are not Exchange Participants can maintain holdings in Stock Connect shares for investors. CCASS will take a snapshot of Stock Connect shares holdings under each Special Segregated Account and replicate such holdings to China Stock Connect to perform pre-trade checking. Each Special Segregated Account has a unique investor ID assigned by CCASS. The Exchange Participant inputs the investor’s ID with its sell order. China Stock Connect will verify whether the investor has sufficient holdings in its Special Segregated Account for the order. Therefore, the investor will only need to transfer the Stock Connect shares from its Special Segregated Account to its broker’s account after execution, not before placing the sell order. Upon the launch of the Shenzhen-Hong Kong Stock Connect, the Special Segregated Account model will allow the optional input of investor IDs in buy orders. However, this would be for the Exchange Participant’s reference only, and there will be no intraday update in the client’s stockholding in the Special Segregated Account. Under PRC law, an investor who holds or controls 5% or more of the issued shares of a Mainland-listed company, is required to report in writing to the CSRC and the relevant exchange, and inform the listed company, within 3 working days. The investor cannot purchase or sell shares in that listed company within that 3-day period. Any change in the investor’s holding which reaches 5% must also be reported within 3 working days to the same bodies as the initial notification. Exchange Participants must keep proper books and records of all orders and trades input or executed and the related client instructions (including the telephone recording). These records must be kept for a minimum period of 20 years. On 5 November 2016, the PRC’s Ministry of Finance, State Administration of Taxation and the China Securities Regulatory Committee issued a joint notice in relation to the taxation policy on Mainland and Hong Kong investors and the requirements of value-added tax and stamp duty. It is largely similar to the PRC’s taxation policy on the Shanghai Hong Kong Stock Connect. The Shenzhen HK Stock Connect will provide for foreign investors the opportunity to invest in Chinese tech stocks. The SZSE has three markets: the Main Board, SME Board and the ChiNext Board Market. The ChiNext market is a Nasdaq-like board for high-growth tech start-ups. Only institutional investors (as defined by Hong Kong rules and regulations) will be able to invest in ChiNext stocks through the Shenzhen-HK Stock Connect. The SZSE has 1,818 listed companies compared to 1,134 in the SSE. It has a market capitalisation of USD3.29 trillion compared with Hong Kong’s USD 3.3 trillion and Shanghai’s USD 3.99 trillion. As of August 2016, one fifth of the companies listed on the SZSE are tech companies, compared to 4% on the SSE. The SZSE was among the busiest exchanges in 2016, and was the second most-active for several months, surpassing the Nasdaq and Bats Global Markets in the United States. It is anticipated that offshore funds will look to invest in Chinese tech stocks through the new Shenzhen-HK link. no involvement in activities that would impact sustainable profitability. no heavy reliance on tax benefits. 1 Article 13, CSRC Stock Connect Rules.